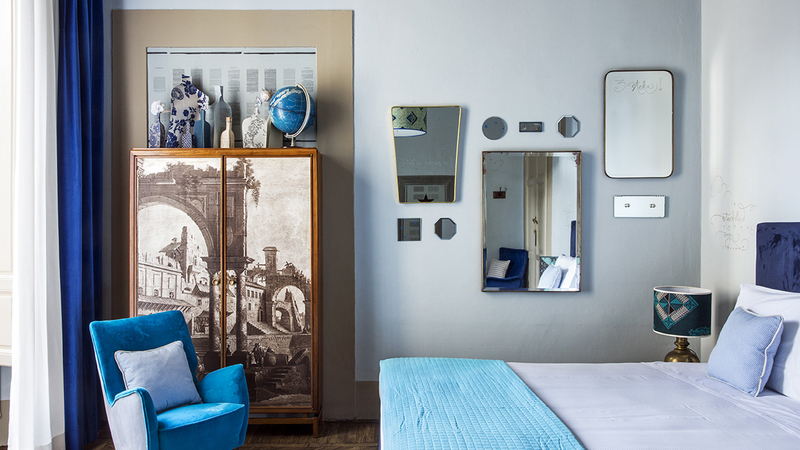 An early 19th-century palazzo hidden away in the Oltrarno district, on the south bank of the Arno, has been converted into a grand but charming bed and breakfast that combines grand lofty spaces with quirky, stylish furnishings. 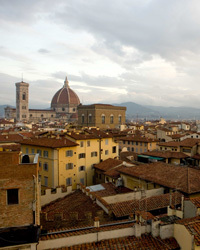 While the AdAstra is set in a building and garden that belongs to the Torrigiani’s – an ancient Florentine family who are still in residence on the ground and second floors – the nine-room hotel has been completely overhauled by its four partner-owners who are also behind the nearby Soprarno Suites. 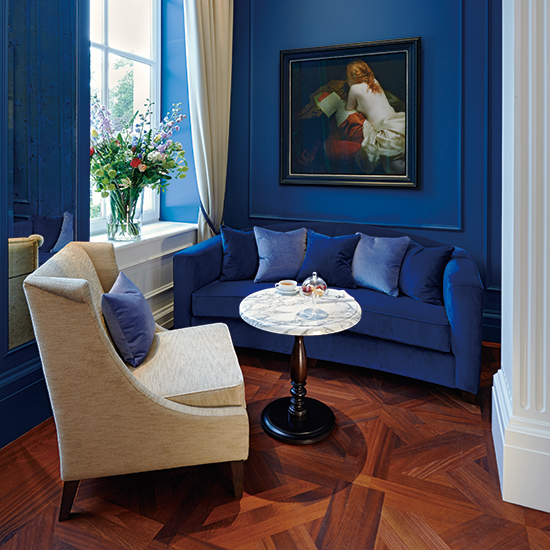 Architect and co-partner Francesco Maestrelli has stayed true to the bones of the building by framing light-washed spaces with the original lofty frescoed ceilings and faded parquet and stone floors, while another partner Matteo Perduca has worked with interior designer and dealer Giacomo Cuccoli to dress rooms with 1950s and 1960s Italian furniture, and pieces by Artemide, Flos and Vitsoe by Dieter Rams. Arguably the best rooms in the house are 8 and 9, two bolt-holes hidden away in the private garden – the largest privately owned arbor in Florence – sprinkled with statues, manicured rose bushes and a neo-gothic tower that once served as an observatory, the inspiration, as it turns out, for the B&B’s name, which is Latin for ‘to the stars’. A breakfast of fresh ricotta, locally cured meats, quince jam and home made crostata sets the scene for a day’s jaunt through the nearby Palazzo Pitti and Uffizi Gallery, though there’s something to be said for staying in the ‘hood to explore its trove of artisanal ateliers, antique dealers, contemporary art galleries, goldsmiths and bars.